Inframation is the leading provider of real-time actionable intelligence for the infrastructure community. We monitor deal-led, principal investing in the development of new infrastructure assets and the acquisition of operational assets and companies to give you research, analysis, intelligence and data. 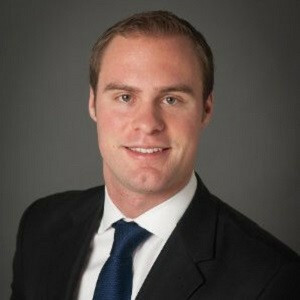 Nicholas Hann leads the investment team and is responsible for implementing Canada Infrastructure Bank’s investment strategy and advising on capital deployment and asset management. Hann has more than 25 years of experience in structuring and financing major infrastructure projects in various countries. 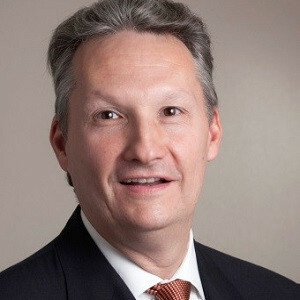 Most recently, as Senior Managing Director of Macquarie Capital Markets Canada Ltd., and a member of the senior leadership team, he was involved in all aspects of Macquarie’s North American infrastructure business. 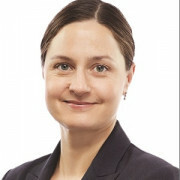 Before joining Macquarie Group in Sydney in 1998, Hann was Project Finance Director for HSBC Investment Bank Asia Limited, based in Hong Kong. Hann has acted as principal investor, asset manager, consortium bid director, financial advisor, debt arranger and government business advisor on projects in a wide range of infrastructure and industry sectors. 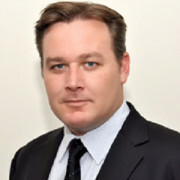 Clive Lipshitz is Managing Partner of Tradewind Interstate Advisors, an advisor to asset owners and asset managers. Lipshitz is also a Guest Scholar in the Infrastructure Finance Initiative at New York University’s Stern School of Business. 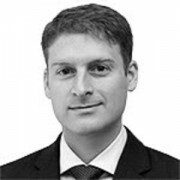 Lipshitz’s 20+ years of experience in investment management includes nine years at Credit Suisse where he was head of alternative investment strategy and product development. 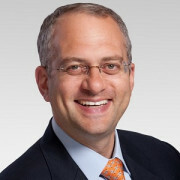 Lipshitz has also held leadership roles at Brookfield and iCapital. Earlier in his career, Lipshitz was a growth capital investor at TDA Capital Partners and in the Office of the Chairman at PaineWebber. He began his career as a CPA at Price Waterhouse. 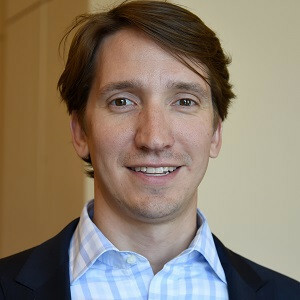 Lipshitz has authored research on the U.S. public pension system and on infrastructure finance and policy at the Stanford Institute for Economic Policy Research and at NYU Stern. 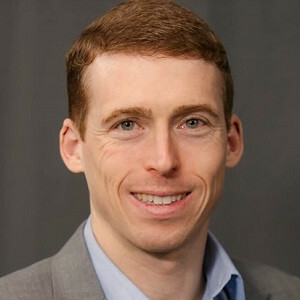 Aaron Snyder is the lead of the U.S. Army Corps of Engineers (USACE), Infrastructure funding and financing team and the Water Infrastructure Finance and Innovation Act (WIFIA) and Public Private Partnership (P3) Program Development team. These teams oversee all aspects of the WIFIA and P3 program for USACE and are currently focused on program development and implementation. Snyder led the P3 team for implementation of the Fargo-Moorhead project, worked to develop an implementation strategy within existing authorities, and led coordination and P3 development with local sponsors. Snyder has been actively working on P3 and related items since 2014. 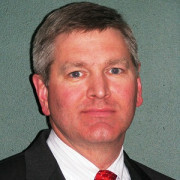 Snyder has served as the Chief of Regional Planning & Environment Division North (PREDN) at the St. Paul District of the U.S. Army Corps of Engineers (USACE). The RPEDN provides planning and environmental services to the St. Paul, Rock Island, and St. Louis Districts. Projects and studies include flood risk management, navigation, watershed planning, ecosystem restoration, and recreation. Snyder also served as a member of the USACE planning modernization team. Snyder’s planning and management experience includes over 15 years as a program manager, project manager, project planner, and regional technical specialist in the Corps civil works program. Snyder has worked on regional water resource planning and implementation for flood risk management, ecosystem restoration, inland navigation, and recreation in the St. Paul District. Snyder also supported emergency operations as a representative of public affairs and management for emergencies, recovery efforts, and disaster planning. Emergency response support includes duty in Puerto Rico, New Orleans, and for the I-35W bridge collapse in Minneapolis, Minnesota. Snyder has provided Integrated Watershed Resource Management and watershed planning support to the Governments of Korea and Vietnam. Snyder led the development of the Red River of the North Basin Wide Feasibility Study, which included international coordination. This study included basin wide modeling, data collection, and development of tools and information for local use. Snyder also led the Fargo-Moorhead Metro Feasibility Study to completion. This USD 22.5m study was completed in 36 months and resulted in a USD 1.8bn diversion channel for the communities of Fargo, North Dakota and Moorhead, Minnesota. The feasibility study is recognized within the Corps as a model study and the team received the USACE Planning Team of the Year Award for 2011. Snyder supported the Corps national team on implementation of alternative financing and worked as an advisor to other districts interested in implementation of alternative financing. 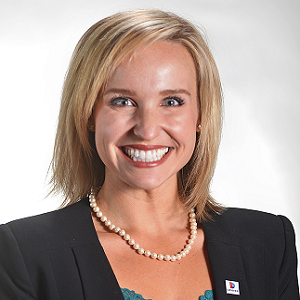 Jennifer Aument joined Transurban in 2006 and now leads the Group’s North American business. Aument led the use of public-private partnerships for infrastructure funding in the United States, pioneering a number of innovative financing and technology strategies in the development of major transportation projects, including the USD 3bn 495 and 95 Express Lanes in Virginia. Prior to joining Transurban, Aument worked for Bechtel Infrastructure to develop the Washington Metrorail Silver Line. Aument is also a commissioner for the Virginia Port Authority, which oversees one of the largest shipping enterprises in the US. 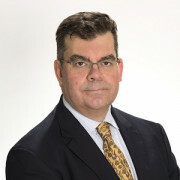 Michael Baird is a Managing Director and the Co-Head of the Higher Education Finance Group in the Municipal Markets Division of RBC Capital Markets. Baird joined the firm in 2003, when he opened their Baltimore investment banking office and started our P3 Higher Education practice. Baird specializes in structuring innovative solutions to meet the specific needs of our higher education clients. Baird has extensive experience financing and refinancing various project-based funding programs, including all types of taxable and tax-exempt, fixed and variable rate structures. 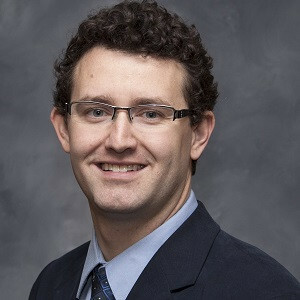 Baird has also developed an expertise in structuring project specific programs utilizing such techniques as net lease financing and various privatization models. Some of his clients have included the Texas A&M University System, the University of North Carolina System, the Pennsylvania State System of Higher Education, the University System of Maryland, Louisiana State University, the University of Oklahoma, Texas Woman’s University, Illinois State University, University of Illinois at Chicago, University of Colorado, Southern Oregon University, Portland State University, Arizona State University, Eastern New Mexico University, Howard University, University of Akron, Northeast Ohio Medical University, Montclair State University, Rowan University, College of Staten Island, Florida Atlantic University, University of Louisville, Virginia State University, Maryland Economic Development Corporation, Collegiate Housing Foundation, National Campus and Community Development Corporation and Provident Resources Group. Baird has over 30 years of investment banking experience, including 26 years as a Public Finance Banker. Baird has participated in hundreds of taxable and tax-exempt financings, totaling over $15 billion in aggregate principal amount. 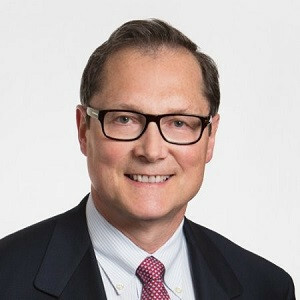 Prior to joining RBC Capital Markets, Baird was a member of the Public Finance Groups of Legg Mason Wood Walker, William R. Hough & Co. and Alex. Brown & Sons. Mac Bell joined Fengate in 2013 and works exclusively on originating and executing infrastructure investments on behalf of our infrastructure funds. 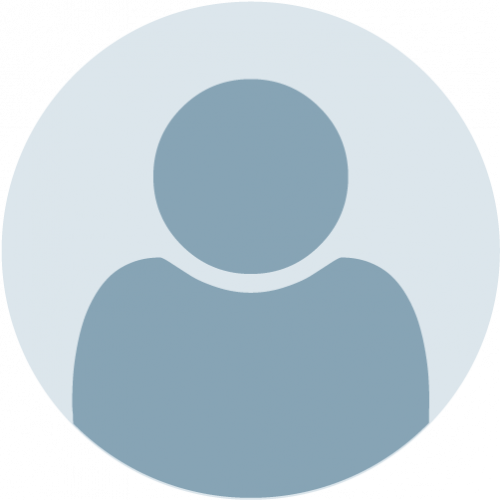 He is responsible for analyzing investment opportunities, due diligence, and transaction execution where he leads multi-partner teams through the development and financing of major infrastructure projects. Bell leverages his experience in each of the P3 and power sectors to pursue opportunities in both areas. Prior to joining Fengate, Bell worked with in the power sector with Vancouver-based developer Plutonic Power (now Alterra Power) and in the mining sector. In these roles he focused on originating, evaluating, structuring and closing power and mining investments, and also oversaw development and construction of a 235 MW run-of-river power project in BC. Sam Beydoun serves as the Bureau Chief for Innovative Project Delivery at the Illinois Department of Transportation. 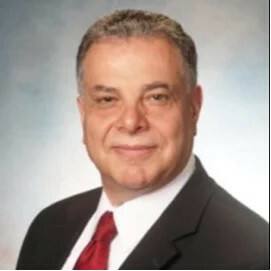 Beydoun is responsible for establishing and leading the alternative delivery program that includes public-private partnership and design-build delivery methods for delivering transportation infrastructure projects including highway, airports and waterways. Prior to Joining the Illinois Department of Transportation Beydoun served as the Acting Deputy Director in the Virginia’s Office of Public-Private Partnerships (VAP3) where he had oversight responsibility for multibillion-dollar program in development including design-build and P3 managed lanes projects. In addition to transportation, Beydoun’s professional experience includes business development and management in financial, information technology and telecommunication sectors. 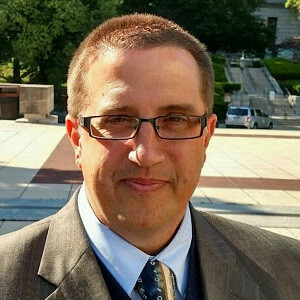 Michael Bonini is the Director of the Office of Public-Private Transportation Partnerships for the Pennsylvania Department of Transportation (PennDOT). In this role, Bonini is responsible for the evaluation, structuring and implementation of partnership delivery solutions that are consistent with PennDOT’s transportation goals. Of note, Bonini is leading the PennDOT team to manage and implement the Rapid Bridge Replacement project. Bonini has been with PennDOT for over 15 years, and until this appointment to the P3 Office, he served as the Research and State Transportation Innovation Council manager. Mark Bradshaw is the Head of Infrastructure Projects across Europe and Americas at Macquarie Capital, leading a team of over 50 professionals across; London, Dublin, Amsterdam, Madrid, Frankfurt and New York offices and has been with Macquarie since 2005. Bradshaw has over 18 years of experience in infrastructure, and has a background in construction,engineering and the legal profession having previously also worked at global construction firm and Allen & Overy. Bradshaw’s background is both bespoke financial advisory solutions for clients and as lead sponsor for Macquarie as principal investor in project finance infrastructure concessions in the accommodation, transport and communication infrastructure sectors on over USD 12bn of transactions. 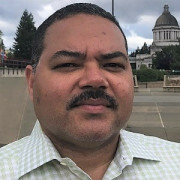 Anthony Buckley is the Director of Innovative Partnerships for the Washington State Department of Transportation (WSDOT). During Buckley's tenure as a public servant he has managed a host of State financing and funding programs. For the State of Oregon, Buckley played a leading role in managing financial components of the American Recovery and Reinvestment Act projects for both the transportation and energy sectors. As the Chief Financial Officer for the Oregon Department of Energy he was responsible for one of the Nation's largest energy tax credit programs (USD 2bn) as well as the nation's oldest energy lending programs (35-years). Prior to his assignment with the Department of Energy Buckley served as the debt and investment manager for the Oregon Department of Transportation where he oversaw a USD 3.5bn transportation finance portfolio. Prior to his career as a public servant, Buckley gained 20 years of private sector experience having worked for various corporations in both finance and marketing roles. Duane Callender manages the Credit Programs Office within the Build America Bureau which houses the Transportation Infrastructure Finance and Innovation Act (TIFIA) credit program and the Railroad Rehabilitation and Improvement Financing (RRIF) credit program. Callender directs a staff responsible for all aspects of underwriting, portfolio monitoring and risk management. Callender oversees a portfolio that encompasses over USD 28bn in Federal credit assistance to intermodal, highway, transit and rail projects totaling more than USD 92bn of infrastructure investment in the U.S. Prior to his current position he held positions in DOT’s Office of Budget and Programs; where he was responsible for oversight of the Maritime Administration budget; in DOT’s Inspector General’s Office and the Budget Office of the District of Columbia’s Metropolitan Police Department. 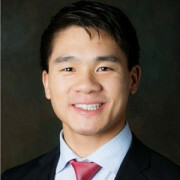 Sam Chai has over 13 years’ experience developing and financing large P3 projects across Canada, U.S., and Australia. Chai is responsible for managing the equity investment business for Kiewit, and oversees a team involved in the development, financing and asset management aspects of P3s in the infrastructure sector. Since joining Kiewit Development Company in 2013, Chai has served as head of the asset development team and Chief Operating Officer, and was instrumental in Kiewit’s success including, most recently, the Tłı̨chǫ All-season Road, Central 70 project, Southwest Calgary Ring Road project, SH-183 project and the Waterloo Light Rail Transit project. Prior to joining Kiewit, Chai was Vice President in the infrastructure advisory and development group at Macquarie Capital, where he led numerous financial advisory engagements, advising both public and private clients. Rick Cosgrove is a partner in Chapman's Banking and FinancialServices Department and a member of the Public and Institutional Banking &Finance Group. 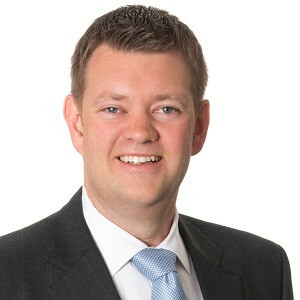 Cosgrove also served as the firm’s Chief Executive Partner from2002 until 2010. Cosgrove’s practice is focused in the areas of commerciallending, credit enhancement, public finance, project finance, structuredfinance, leasing, derivative products and capital markets activities of bankinginstitutions. Cosgrove has been practicing law since 1977 when he joined Chapman. 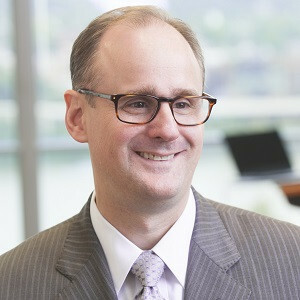 Cosgrove has extensive experience in the representation ofdomestic and foreign banking institutions and leasing companies in a widevariety of financial transactions, including commercial lending, creditenhancement, project finance, public-private partnership finance, derivativeproducts, leasing, tax-exempt asset securitization and other structured debtfinancings. 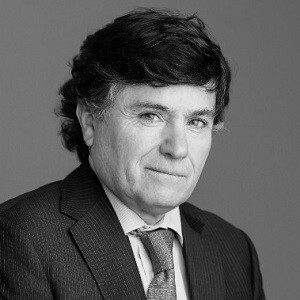 Francisco Del Pozo joined Macquarie Capital’s Infrastructure team as a Senior Vice President in 2011. Del Pozo has experience in the development, design, construction, operation and financing of infrastructures, both in the Greenfield and Brownfield with a focus on the Transportation sector. During the last 5 years, Del Pozo has worked on a wide variety of high-profile infrastructure PPPs and M&A transactions in the US and Canada and he has been involved in marquee transactions as the Goethals Bridge Replacement project. Prior to joining Macquarie, Del Pozo worked for over ten years in the construction industry for Acciona and Dragados in four different countries. In his immediate prior role with Dragados Del Pozo was a project manager in the East Side Access Project, one of largest mass transit ventures in the US. Trevor D’Olier-Lees is a Senior Director at S&P Global Infrastructure Ratings. Areas of analytical leadership include; new analytical developments such as project finance, securitization, rooftop solar securitization, emerging markets, infrastructure as an asset class, bundling structures, credit enhancements and public private partnerships & renewables. Jake Falk represents clientsin the development and financing of infrastructure projects in the UnitedStates and abroad. Falk practice focuses on structuring and negotiatingconcession, development and financing arrangements for new projects andthe refinancing or acquisition of existing facilities. 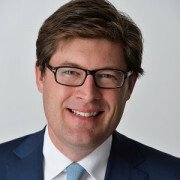 Falk served in the Office ofthe US Secretary of Transportation as the Director of the Office ofInfrastructure Finance & Innovation where he advised on matters related totransportation financing, including public-private partnerships. At the USDepartment of Transportation (USDOT) Falk was involved in the development andadministration of innovative credit assistance and grant programs, such as theTIFIA, PABs, and TIGER programs. 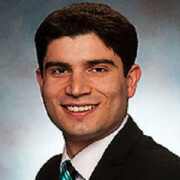 Morteza Farajianserves as the Director of VDOT’s Office of Public-Private Partnerships (P3). During his5-years with VDOT, Farajian has demonstrated experience in delivering some ofthe highest profile and most beneficial P3 contracts in the United States,including the USD 3.3bn I-66 project in Northern Virginia. Farajian also servedas an advisor on the Chesapeake Bay Bridge Tunnel’s new USD 1bn Thimble ShoalsTunnel project. Currently, Farajian is engaged in VDOT’s solicitation ofindustry input regarding the I-64 Hampton Roads Bridge-Tunnel Expansionprocurement and delivery method. Prior to joining VDOT, Farajian worked inthe private sector in a number of project management, construction, anddevelopment roles. Farajian willcontinue VDOT’s efforts to ensure that Virginians get the maximum return ontheir investments by bringing private sector equity and innovation to criticalP3 transportation improvements. In this role, he will also be responsible forthe overall management of each of VDOT’s existing long-term P3 contracts acrossthe Commonwealth. Evan Feinman is the Executive Director of the Tobacco Region Revitalization Commission and Governor Northam’s Chief Broadband Advisor. 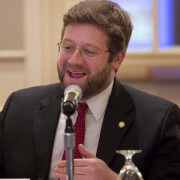 Feinman previously served as Deputy Secretary of Natural Resources, and as the Policy Director for the McAuliffe campaign. 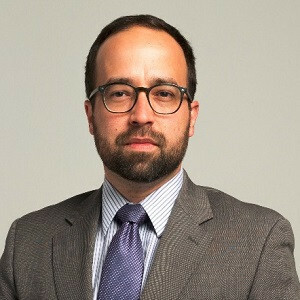 Feinman has worked on multiple transition teams and campaigns at the state and federal level, and at the Commonwealth Institute, a budget and fiscal policy think tank in Richmond. Deborah Flint was appointed Chief Executive Officer of Los Angeles World Airports (LAWA) in June 2015, with oversight of Los Angeles International (LAX) and Van Nuys (VNY) general aviation airports. Flint leads the team responsible for returning LAX to iconic status, creating a world class, modern airport for the modern traveler and building a transportation system that will give passengers a first-class, swift, convenient, and reliable way to access the airport. Flint’s responsibilities involve managing the largest public works project in the history of the City of Los Angeles and investing more than USD 8.5bn to innovate retail, food and beverage, terminal redevelopment and create an airport wide hospitality mindset. As well, Flint oversees the development and advancement of security policies and strategies that comply with federal security regulations and provide world-class law enforcement for the protection of the public and property. Flint leads the procurement and delivery of the Landside Access Modernization Program (LAMP,) the USD 5.5bn solution to the crowded roadways and curbsides at and around LAX. Elements include an Automated People Mover (APM), Consolidated Rent-a-Car Center (ConRAC), Intermodal Transportation Facilities (ITFs) and comprehensive Roadway Improvements. Working in partnership with the Los Angeles County Metropolitan Transportation Authority (Metro), the system will provide travelers with a seamless connection to public transit. Flint is committed to building the complex structures with leading edge innovation and design, while creating new jobs and opportunities for small, local and diverse business. Flint managed the transition of Ontario International Airport to its new local authority. She continues to position VNY, one of the world’s busiest general aviation airports, as a vital community partner which contributes more than USD 1.3bn each year to the Southern California economy. 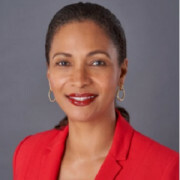 Flint came to LAWA from the Port of Oakland where she had held the position of aviation director since 2010, being the primary executive responsible management, business development and operation of Oakland International Airport (OAK). While there, Flint delivered the USD 480m BART Airport Rail project after years of effort and challenges; executed strategies to stabilize and reverse passenger traffic decline in a difficult market environment; redesigned OAK’s customer experience to make the airport more competitive; and marketed, developed and negotiated numerous development and investment transactions in terminal renovation and hangar development. Prior to serving as aviation director at the Port of Oakland, Flint held the position of assistant aviation director. Other professional experience includes leading OAK's Capital Program in which she coordinated the design, financing and implementation of major airport projects, and participated in the issuance of more than a half billion dollars in revenue bonds. 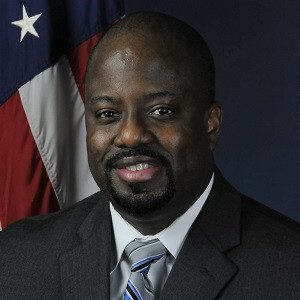 Flint also served as acting port executive director of the Port of Oakland (maritime). Flint began her career with the port in 1992 in port finance and advanced through the port’s Finance and Aviation divisions. 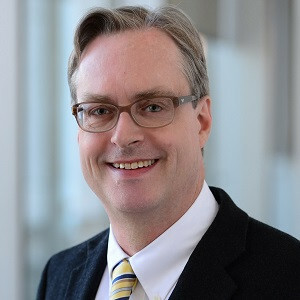 Flint serves on the Board of the Airports Council International World Board, is on the Oversight Committee of the Transportation Research Board’s Airport Cooperative Research Program; and is the Chair of the California Airports Council. 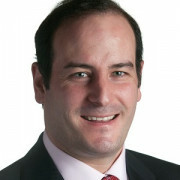 Douglas Fried is Norton Rose Fulbright's US Head of Infrastructure, Mining and Commodities. Fried’s practice focuses on the representation of sponsors, equity investors and lenders in connection with transportation, infrastructure and energy projects. Fried has been involved in projects in the United States, Latin America, the Middle East and Asia. 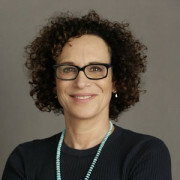 Fried’s practice includes the representation of such entities in connection with the development and financing of new projects, public-private partnerships, the privatization of existing assets, the workout and restructuring of troubled projects, companies and transactions, and sales and acquisitions. 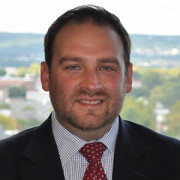 Justin Ginsburgh is Director of JFK Infrastructure Strategy and Development at JetBlue, where he is leading the airline's effort to develop a USD 3bn new world-class terminal at JFK airport. 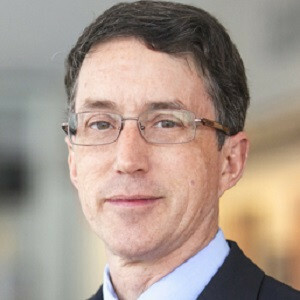 Prior to JetBlue, Ginsburgh was also a co-founder of Citi Bike and an associate at Goldman Sachs, Urban Investment Group, where he worked on economic development and real estate projects across the United States. Ginsburgh also previously served as Chief of Staff at Empire State Development, New York State’s economic development agency. Sandeep Gopalan joined Macquarie in 2007 and has worked in PPP andtransportation infrastructure financing for over eleven years. During thistime, Gopalan has developed, advised and closed on a number of largeinfrastructure P3 projects including I-595 and Port of Miami Tunnel in Florida,the Midtown Tunnel in Virginia, the Goethals Bridge in NY / NJ and the Central70 in Colorado. 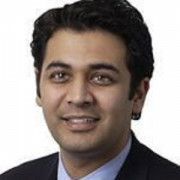 Prior to Macquarie, Gopalan was a financial analyst at Dresdner KleinwortWasserstein in their industrials M&A group providing financial andstrategic advice to private sector clients. 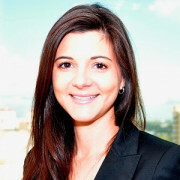 Nuria Haltiwanger is the CEO for ACS Infrastructure Development and ACS Infrastructure Canada, the North American equity investment, financing and operations and maintenance subsidiaries of the ACS Group, focused on developing and operating infrastructure projects in North America via alternative procurement methods, such as public-private partnership (PPP) and design-build-finance (DBF). 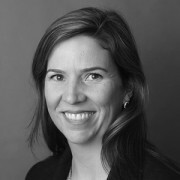 Under her leadership, ACS Infrastructure has solidified its position as a market leader in PPP/DBF projects in North America, with a current portfolio of 14 projects totaling approximately USD 20bn, including Angels Flight in California, the SH 288 Toll Lanes Project in Texas, the Portsmouth Bypass Project in Ohio, and Florida's I-595 Project, which was the first availability payment-based PPP project in the U.S. and which has been successfully operating for three years. John Hibbard is the Operations Division Director for Georgia DOT. Hibbard’s responsibilities include the oversight and direction of the State Maintenance Office, the State Utilities Office, the Office of Traffic Operations, and the Office of Transportation Data. Hibbard’s 30-year career includes stops at PBS&J/Atkins, TransCore, Cobb DOT, and started with Kimley-Horn in Dallas in the mid-1980’s. 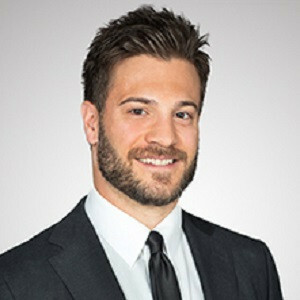 Bryan Kendro joined Star America Infrastructure Partners in January 2016 and is responsible for project development efforts, identifying investment opportunities and establishing strategic relationships with public sector clients and potential bid partners. Kendro’s public sector experience and relationships help position Star America for success on many of its project pursuits and manage client relationships after project award. 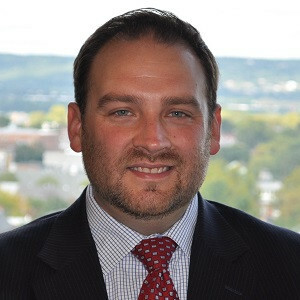 Prior to Star America, Kendro was the Director of P3 and Policy at the Pennsylvania Department of Transportation where he successfully developed and reached close on the Commonwealth’s early P3 projects, including the USD 1bn Rapid Bridge Replacement Project. Kendro is a P3 Division Board Member for The American Road & Transportation Builders Association (ARTBA) and an active member of The Association for the Improvement of American Infrastructure (AIAI), where he volunteers his time to educate public officials, contractors and engineers on the benefits of the P3 delivery model. Tara Mackay’s practice focuses on corporate and commercial transactions, with a particular emphasis on major capital projects, including public-private partnerships (PPP) and alternative financing and procurement (AFP) projects. Mackay represents private developers, public authorities, lenders, construction contractors and service providers in all aspects of the implementation of large-scale infrastructure and similar projects. Allan Marks represents developers, investors and lenders in the development, acquisition and financing of complex infrastructure projects, with special expertise in the energy, transportation and water sectors. Marks structures innovative commercial transactions and leads project financings, acquisitions, restructurings, securities offerings and private placements for a variety of sophisticated institutional clients throughout the Americas, Asia and Europe. Erin Milligan has a diverse leadership and business background which includes top operational and Board level roles in start-ups, growth stage companies, not-for-profit organizations, and large for-profit enterprises. For the last 15 years, Milligan has worked to invest in and build companies with disruptive technologies and business models. Several of these companies have been in the automotive industry and Milligan has served as interim CEO,consultant to the office of CEO, investor, and Board member. Milligan has significant C-level management consulting expertise with Fortune 1000 companies and was a Worldwide Partner and Executive Compensation and Human Capital Practice Leader at Mercer, one of the world’s largest global consulting firms. Milligan is a firm believer in innovation and loves to build organizations based on the talents of its team members. Milligan has formed P3 Mobility with that objective in mind. Dolly Mirchandani’s practice focuses on infrastructure(including public private partnerships and energy) projects, reflecting 20years of experience working on some of the most significant deals in thesector. Mirchandani represents sponsors, infrastructure funds, commercialbanks, institutional lenders, contractors, secondary market investors andgovernments in the tender and acquisition of greenfield and brownfieldinfrastructure projects. Mirchandani’s breadth of practice allows her toanticipate concerns, propose solutions and promote agreement. 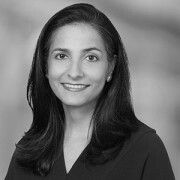 Mirchandani hasplayed a leading role in the introduction of private investment and finance inthe infrastructure sector in North America, having advised on multiple,award-winning transactions, including ones that were first-of-their-kind. Industrypress consistently recognizes Mirchandani as a leading lawyer for PPPs andother infrastructure projects. Mirchandani is highly ranked in Chambers USA andLegal 500 and was recognized in 2013 as one of Law360's "RisingStars" list of top project finance partners under 40. Colin Peppard is Manager for Outreach and Strategic Relationships with the Office of Extraordinary Innovation (OEI) at LA Metro. Peppard manages the agency’s Unsolicited Proposal Process, a tool used to develop public-private partnerships around Metro’s individual project plans, and explores how emerging technologies could improve and expand Metro’s service. Previously, Peppard served as a policy advisor and senior legislative aide for U.S. Senator Thomas R.Carper, of Delaware, where he oversaw policy development and legislative strategy. 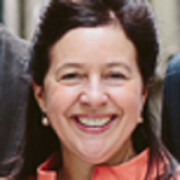 Peppard helped to negotiate two federal transportation bills, and took a lead role in drafting several provisions to facilitate capital financing of public infrastructure. Before he began with Senator Carper, Peppard was the Deputy Director of Federal Transportation Policy with the Natural Resources Defense Council (NRDC) where he focused on advancing policies and projects with mutual mobility and environmental benefits. Anthony Phillips is responsible for the Group’s activities in North America. Phillips has over 15 years’ experience in Infrastructure Investment in North America, Europe and Asia Pacific. Phillips joined John Laing in 2005 and during this time has been based in London and Sydney where he successfully led John Laing’s entry into the Australia and New Zealand PPP markets prior to relocating to the USA in 2014. Prior to joining John Laing, Phillips qualified as a Chartered Certified Accountant and gained 8 years’ experience with KPMG and Grant Thornton. Anthony is on the board of The Association for the Improvement of American Infrastructure. Michael Pikiel represents sponsors, developers, investors,lenders, and underwriters in a wide range of projects and complex finance transactions, including project financings and acquisition financings. He also has significant experience with public-private partnerships (PPP). Pikiel was selected as a David Rockefeller Fellow for the Class of 2015-2016 by the Partnership for New York City, an organization comprised of New York City’s chief executives from the city’s largest private sector employers that is focused on business and corporate civic engagement and leadership. Pikiel is a member of the US Branch Council of the International Project Finance Association (IPFA). 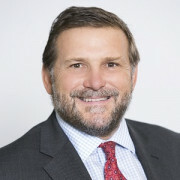 Lorne Potash is a Managing Director at Assured Guaranty based in New York where he is responsible for its Project Finance/Infrastructure business across the Americas. With wide ranging experience, his transactions involve U.S. transportation and social infrastructure projects including insuring USD 412m of bonds for the LaGuardia Airport Redevelopment Project in 2016. Potash joined Assured Guaranty in 2006. Prior to joining Assured Guaranty Potash was with Ambac, Andersen Corporate Finance and Arthur Andersen in various capacities. Potash has been involved in the financial markets for over 25 years. Potash is a CFA charter holder, Certified Public Accountant and member of the New York Society of Security Analysts and Municipal Analysts Group of New York. Anne Rabin leads HOCHTIEF PPP Solutions development activities in the US. Rabin brings over 35 years of experience in executing infrastructure transactions in North and South America. 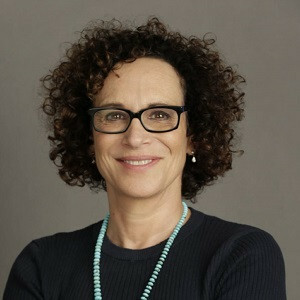 Rabin has participated in a wide range of notable financings in a variety of capacities over her career, including as an investor, lender and advisor. Rabin was the equity lead for HOCHTIEF for the LAWA’s APM pursuit and now sits on the Project’s Board of Directors. Rabin is also a board member for the past seven years for the Presidio Parkway Project Company. 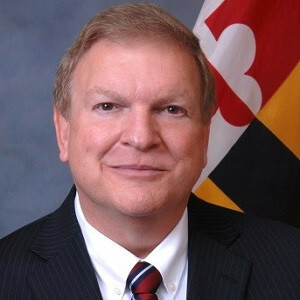 Pete Rahn was appointed Secretary of the Maryland Department of Transportation (MDOT) by Governor Larry Hogan on January 21, 2015. Rahn is the first person to have led transportation departments in three states. As Transportation Secretary, Rahn oversees a USD 5.1bn annual budget (FY 2018) and leads more than 10,000 employees. MDOT has direct supervision of all aspects of transportation, including the state’s highway, transit and rail networks; toll facilities; motor vehicles; Baltimore/Washington International Thurgood Marshall Airport; and the Helen Delich Bentley Port of Baltimore. Prior to his appointment, Rahn was chairman of the New Mexico State Transportation Commission from 2011 to 2015. 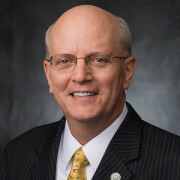 Rahn served as Director of the Missouri Department of Transportation from 2004 to 2010, when he joined the Kansas City, Mo.-based HNTB construction engineering firm. Rahn was Cabinet Secretary of the New Mexico State Highway and Transportation Department from 1995 to 2002. As a transportation leader in New Mexico and Missouri, Rahn managed billions of dollars in multi-modal transportation investments -- from highways and transit to airports and freight rail -- to create jobs and expand economic development, while focusing on innovation, teamwork, accountability and enhanced communication. At the national level, Rahn was President of the American Association of State Highway and Transportation Officials (AASHTO) from 2007 to 2008. In 2017, Rahn was appointed to a two-year term as Chair of AASHTO’s Committee on Funding and Finance. He also has served as a member of AASHTO’s Board of Directors, Chairman of its Standing Committee on Performance Management and Chairman of its Standing Committee on Highway Traffic Safety. From 2006 to 2010, Rahn served on the Executive Committee of the Transportation Research Board. Since 2015, Rahn has been vice president of the Northeast Association of State Transportation Officials (NASTO). As Vice Chancellor for Business Affairs, Phillip Ray is responsible for all real estate development projects involving a public-private partnership, negotiation of operational efficiencies opportunities, financial accounting and reporting oversight, direction of tax and fiscal activities, financial functions related to the legislative appropriations process, annual operating budget process,Historically Under utilized Business (HUB) initiatives, Facilities Planning and Construction, and aircraft operations for the A&M System. Victoria Taylor has over 14 years of experience in infrastructure finance and environmental engineering related to construction, utilities, and real estate property development. Taylor has extensive experience in infrastructure advisory and implementation of innovative financing solutions, having worked on some of North America and Europe’s leading PPP projects. 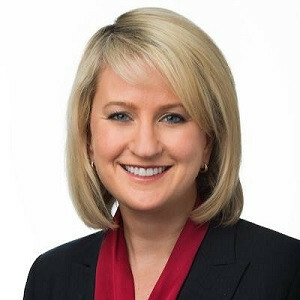 In her capacity as a financial advisor and lender with both DEPFA Bank and WestLB, Taylor has been responsible for developing plans of finance, performing credit analysis, negotiating credit agreements, monitoring a portfolio of loans, performing risk assessments, and restructuring troubled loans. Her experience includes delivering financing solutions for complex transactions drawing on diverse funding sources, including bank debt, private activity bonds, TIFIA loans, export credit agency financial products, and complementary derivative products. Victoria’s experience also includes coordinating efforts across multiple disciplines (e.g. legal, technical, engineering, economic, environmental). Carlos Ugarte Cruz-Coke joined Cintra as CFO of Chile in 1998. In this role, he successfully implemented the Holding Company that developed, operated, maintained and financed Cintra’s recently awarded Chilean concessions (four toll roads with more than 600 miles, and one airport). Ugarte Cruz-Coke was appointed Head of Corporate and Business Development North America in 2006, in this position, he was instrumental with Cintra’s successful entrance into the US Manage Lanes business, with the successful award and later implementation of NTE Express Lanes, NTE West, and LBJ Express Lanes. In 2010 Ugarte Cruz-Coke was appointed Global Head of Corporate and Business Development. In this position, he has focused on expanding Cintra’ leadership position in the US Managed Lanes Business, with the effective award of I-77 Express Lanes and I-66 Express Lanes, and in the successful entrance of new markets for Cintra like Australia. Ugarte Cruz-Coke began his PPP career at the Treasury Ministry of Chile in 1986. In this role, he helped structure and pass Chile’s first PPP law, and then led the implementation of the first international procurement for a PPP in Chile (Santiago International Airport PPP). Today, Chile’s PPP business account to more than 12 billion of infrastructure investment, and there are more than 70 outstanding and successful PPP in Toll Roads, Airports, Ports, etc. 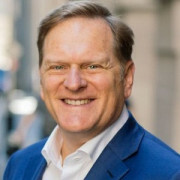 Darcy Wilson currently serves as a Senior Vice President in Oaktree’s Infrastructure Investing Strategy, having joined Oaktree from Highstar Capital in 2014. Wilson is responsible for identifying and evaluating investments for Oaktree’s dedicated US Transportation Infrastructure Fund. Wilson currently serves as the sector head of the fund’s Land sector and is responsible for leading a number of the fund’s aviation investment pursuits. 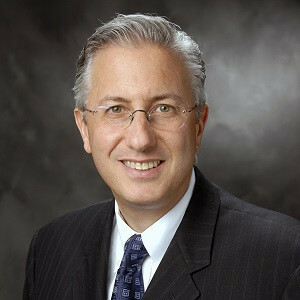 Wilson currently serves on the Board of American Corporate Airport Partners and Crowd Vision Ltd. Prior to joining Highstar, Wilson was an investment banking analyst in J.P. Morgan’s Energy Group based in New York City. 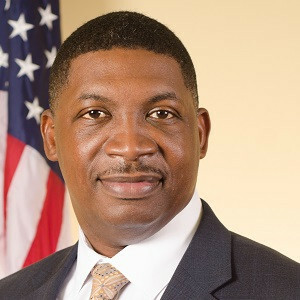 Shawn Wilson was appointed Secretary of the Louisiana Department of Transportation and Development (DOTD) by Governor John Bel Edwards on January 11, 2016 after more than 10 years of executive service at DOTD. Since his appointment, Wilson has been a tireless advocate for new revenue, maximizing Federal dollars available to Louisiana, advancing a balanced and comprehensive transportation policy for Louisiana, and ensuring the Department is more collaborative in its work at every level. Under his leadership, DOTD was successful at securing and obligating nearly USD 150m additional Federal dollars for I-10 widening from I-49 to New Orleans, for the Baton Rouge I-10 bottleneck, and for the shortest Design Build procurement in the state’s history is underway to widen I-10 from Highland Road to LA 73. In addition, under his leadership, DOTD has been able to assist communities with alternative fueled transit assets, focus efforts on advancing passenger rail, and helping launch bike share in Baton Rouge, LA. The DOTD has turned its focus to procuring USD 650m in GARVEE Bonds for two Design Build Projects, a major Urban Interstate Reconstruction and the state’s first Public Private Partnership. Jim Ziglar is a specialist leader in Deloitte Transactions and Business Analytics LLP's US Infrastructure Procurement Advisory practice, where he focuses on advising federal, state, and local government and private sector entities on the funding, financing, procurement, and operation of infrastructure assets. Ziglar has more than 23 years of experience in US municipal finance, project finance, public-private partnerships, strategic consulting, and marketing and CRM consulting. This includes serving US federal and municipal government entities as a financial advisor and an investment banker, helping them to finance infrastructure projects and solve other financial challenges through traditional and creative structured funding and financing solutions.